The Manchester City forward and England international has put pen to paper on a new bumper five-year contract for the reigning Premier League Champions. Manchester City have announced that England forward Raheem Sterling has signed a new three-year contract extension until 2023. It’s believed Sterling will earn a whopping £300,000 a week making him the third-highest paid player in the Premier League behind Alexis Sanchez and Mesut Ozil. Sterling has had quite the week with Man City, scoring twice and also assisting twice during the club's rout of Southampton last weekend. The dynamic winger was then on the score sheet again in City's win over Shakhtar Donetsk in the Champions League in midweek. 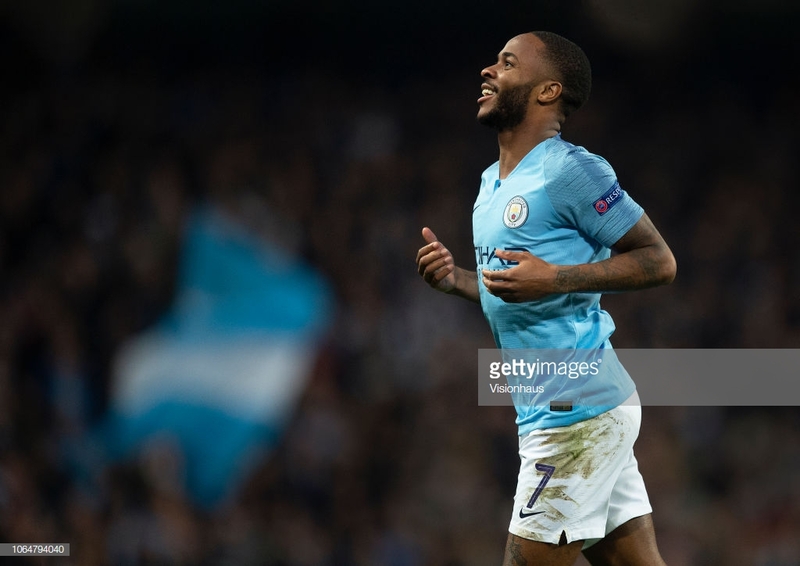 He was, however, caught up in a controversial penalty incident during the same match, when the referee awarded a spot-kick after Sterling had kicked the turf. The forward has scored seven times and provided a further seven assists in 14 appearances so far this season and as such, his new contract is a fine reward. Only Mo Salah of Liverpool has been part of more goals than Sterling since the start of last season. City’s 23-year-old has been involved in 40 league goals (24 goals, 16 assists). Sterling signed for the current champions back in 2015 for £49 million. "I felt from the minute I got here it was the right choice for me. It's paid off and I'm really grateful." Looking ahead to the future, the 23-year-old added: "There's definitely a lot more [to come], there's stuff I'm still working on, there's never a time where I feel this is where it stops, I always want to get better and get my numbers up, score more goals and get more assists." City's Director of Football Txiki Begiristain also had his say: "This is a significant moment for the club," he revealed.